Alternative credit assessment firm Aire has picked up $11 million in new funding. The London-based company says the new capital will support the continued development of its credit insight engine, as well as support expansion in the US, reports David Penn at Finovate. The investment adds to the $5 million Aire raised in the summer of 2017, and takes the company’s total funding to $23 million. “Aire is built on the premise that empowering consumers to play an active role in their credit assessment is the only way to give lenders a comprehensive view with which to make a decision,” Aire co-founder and CEO Aneesh Varma says. Calling the announcement a “significant milestone,” Varma highlighted the participation of Experian Ventures, the venture arm of credit bureau giant, Experian. “This Series B funding is allowing us to push the Aire philosophy further into new markets, such as the US, as well as new sectors,” he says. Aire improves the credit decisioning process by providing lenders with the tools they need to accurately assess thin file credit histories. When an applicant’s initial credit check reveals insufficient information, the applicant is directed to an Aire Interactive Interview. The applicant answers a series of tailored questions to create a “three-dimensional” view of their finances, focusing on issues such as affordability, stability, and financial resilience. Aire then creates and delivers a score based on this data that gives lenders insight into the applicant’s creditworthiness in the future rather than the past. This latest funding for Aire was led by Crane Venture Partners, and featured participation from Orange Digital Ventures as well as Experian Ventures. The round comes two years after the company earned Financial Conduct Authority (FCA) approval, and accompanies news that Aire has scored more than $10 billion in credit across a variety of consumer credit categories. Krishna Visvanathan, Crane Venture Partners founding partner praises Aire’s “unique contextual decisioning methodology” which he says “combines direct consumer engagement, new data sources, and (a) dynamic algorithm model” to help lenders make more accurate assessments of credit risk. 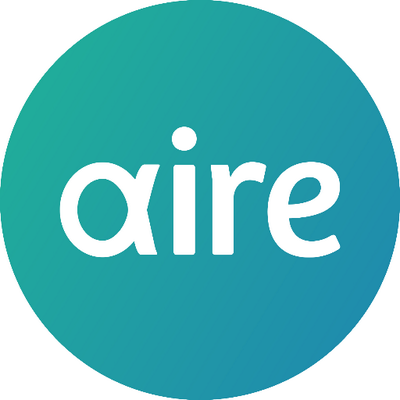 Aire was founded in 2014. The company’s partners include Zopa and the UK arm of auto financing company, Toyota Financial Services.